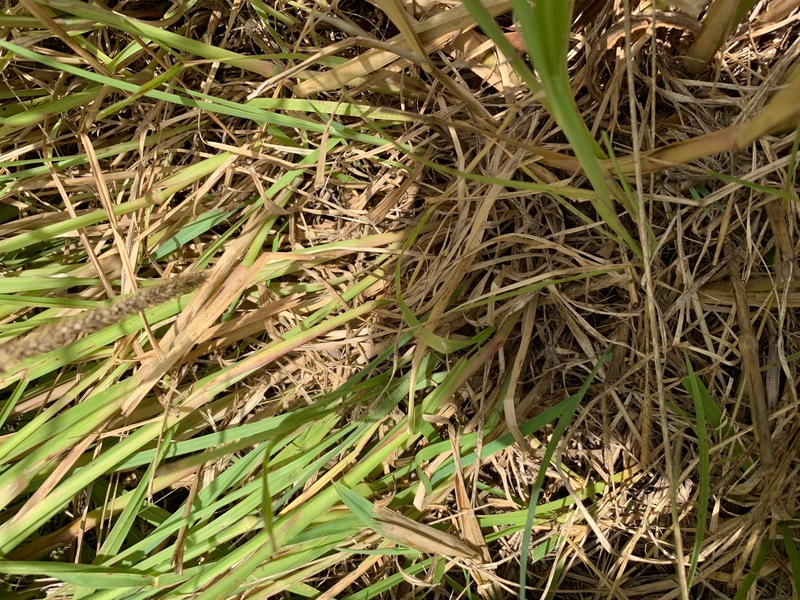 Lucerne/Alfalfa… if it is really fresh and green it will often cause scouring/diarrhea. We don’t know (as far as I’m aware) what causes the scouring, BUT my observation over the years is that once it is stored for a few months the problem goes away (hence the old advice to always feed ‘shedded’ hay)… so whatever it is in lucerne/alfalfa that causes the issue seems to be volatile and disappears after a while. The issue at the moment for many of us is hay is in such short supply that all we can get is very fresh lucerne! 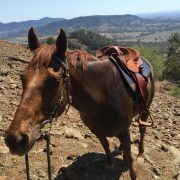 We don’t have the luxury of waiting a couple of months for it to lose whatever it is that makes our horses scour… here is what you can do! Take your bales, open them up and spread the pieces (biscuits, flakes, leaves… we call them all sorts of funny things depending on where you are in the world!) apart and let them sit for about a week (longer if you have the luxury of time) to air out. You should find that your horse’s gut will be much happier with it once it has had this chance to air out. If your hay seems particularly rich and is making horses scour badly try also sitting it in the sun. I have dealt with lucerne/alfalfa in a polo stable in Asia actually bursting horses’ stomachs! 😮 was horrible!! But once we got them to start airing and sunning the hay like this (it was imported from the USA) the problem thankfully stopped. Its the only time I have heard of that with lucerne/alfalfa and hopefully the only time! Anyway, if you are dealing with soft manure in horses on fresh lucerne/alfalfa give this a try. Would love to know what happens if you have time to leave a comment on Facebook. https://feedxl.com/wp-content/uploads/2018/10/AdobeStock_53814298.jpeg 2990 4491 Dr Nerida Richards https://feedxl.com/wp-content/uploads/2017/08/FeedXL-header-logo-300W.png Dr Nerida Richards2018-10-16 19:13:112019-02-15 09:24:49Soft Manure in Horses on Fresh Lucerne/Alfalfa Hay? Try This! Feeding grain free diets has grown in popularity in the last 10 years and there are certainly many benefits. BUT, need it always be the way to go? The answer is, it depends, but often no. Horses with conditions like laminitis, PSSM tying up, PPID/Cushing’s, equine metabolic syndrome, insulin resistance etc MUST be fed a low sugar, low starch (or low non-structural carbohydrate; NSC) diet. Usually, to achieve low enough starch and sugar levels, these diets need to be grain free. 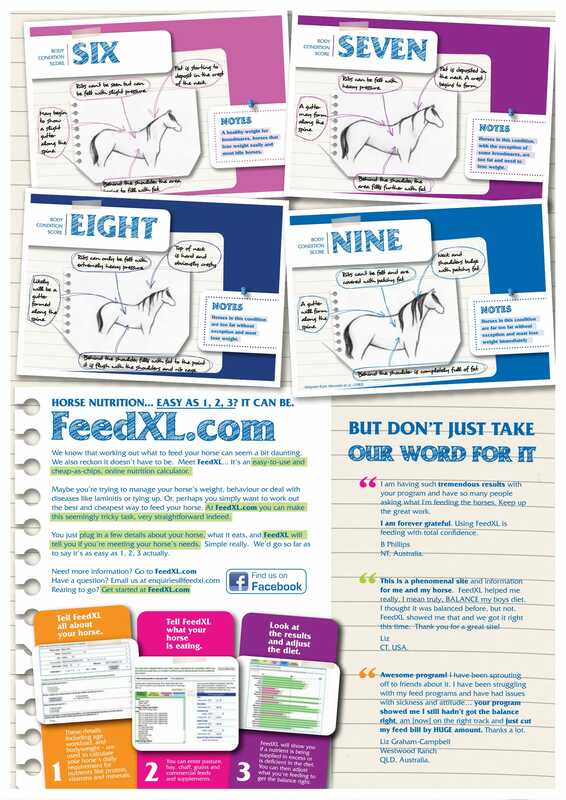 One of the things FeedXL is great for is to help you sort out which feeds, forages and supplements are safe (low in starch and sugars; NSC) or not safe to feed horses with these conditions. But for horses that don’t need low sugar, low starch diets to control diseases, as long as grain is FED SAFELY, grains can form a very valuable part of a ration! They are economical compared to high energy fibres like beet pulp (which are expensive in comparison), they provide a source of glucose that horses in heavy work can use to readily replenish muscle glycogen supplies, and they are palatable… horses love grains, so keeping horses in hard work eating on grain based feeds tends to be relatively simple provided the recipe is good! So, as long as grains are well cooked (with the exception of oats which can be fed uncooked) and as long as you feed them in small meals (no more than 0.5 kg/100 kg BW, 0.5 lb/100 lb BW) they can form a very useful part of a horse’s diet. These are HUGE ‘as long as’ statements too… feed grains in the wrong way and things WILL go horribly wrong. But that is another story for another day. The moral of this story is don’t fall into the trap of one-size-fits-all when it comes to grain free. https://feedxl.com/wp-content/uploads/2018/10/iStock_000012676792Small.jpg 632 759 Dr Nerida Richards https://feedxl.com/wp-content/uploads/2017/08/FeedXL-header-logo-300W.png Dr Nerida Richards2018-10-07 07:21:352019-02-15 09:29:00Is Grain Free/Low Sugar, Low Starch Always the Way to Go for Horses? 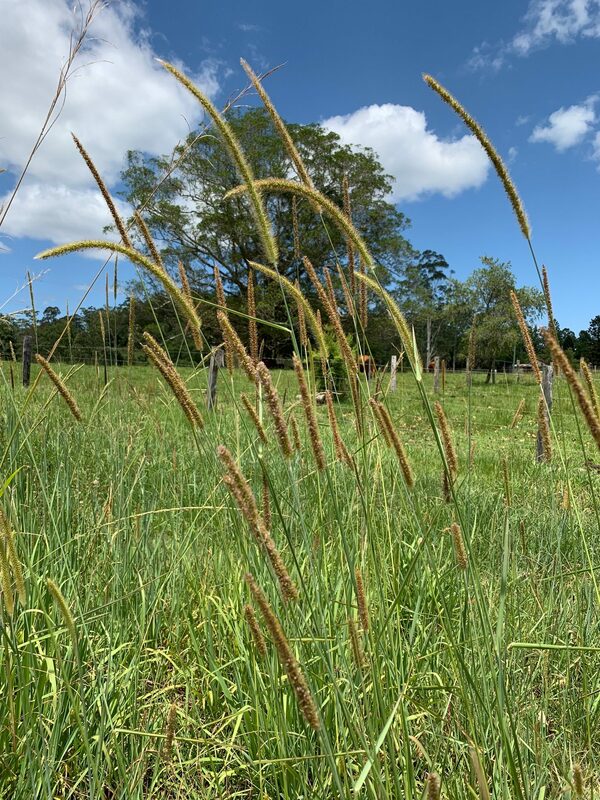 OK, the lowdown on Teff Hay for horses. 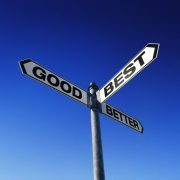 First, the good! 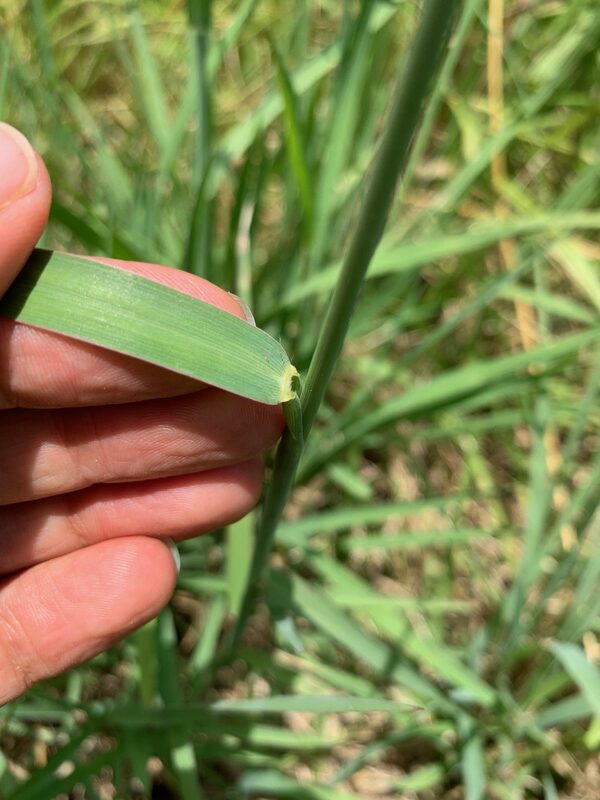 Staniar et al 2010: These authors report non-structural carbohydrate (NSC) contents for teff of 5.4% in the ‘boot’ stage and 8.4% in the ‘late heading stage’ of plant maturity. 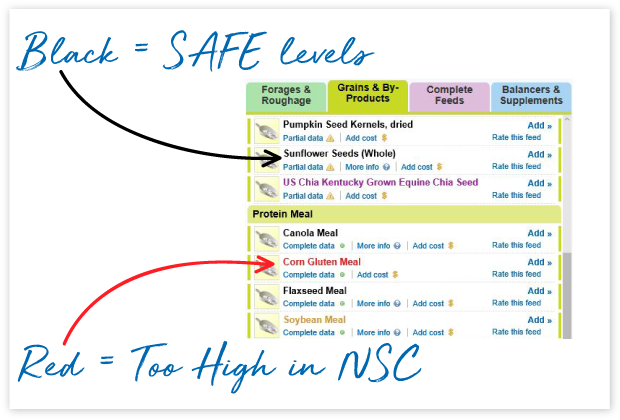 Both really low NSC levels and well below the 10 – 12% threshold considered safe for laminitic/EMS/PPID/PSSM horses. Variation in NSC levels between samples was also minimal which is also our experience with other C4 Type grasses like Rhodes for example. 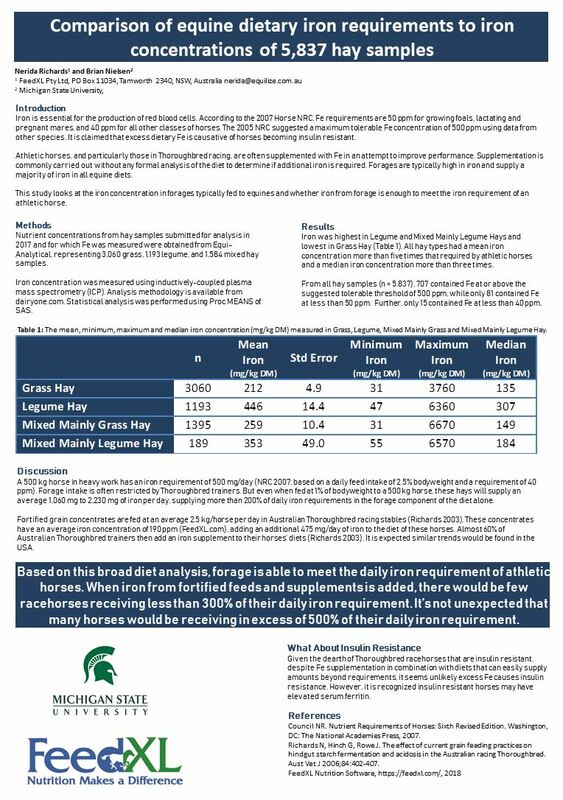 Horses in this study ate 1.5% to 1.8% of their bodyweight in teff hay, with the lower intakes being on the more mature hay. 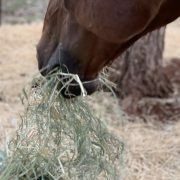 Again, this is a good thing as horses on restricted diets are unlikely to eat this hay as fast as more palatable hays like alfalfa, so they should eat for longer periods of time for lower calorie intake. McCown et al 2012: Report that when fed to horses unaccustomed to teff and given a choice of either teff and alfalfa or teff and timothy, their intake of teff is lower than their intake of alfalfa (no surprises there) and timothy. BUT, when given access to only teff, intake was about the same as timothy hay. So they don’t relish teff hay, but truly, this is a good thing as they are less likely to overeat it! Askins et al 2017: These authors report that horses given free access to teff hay consumed 1.5% of their bodyweight per day which equated to 86% of maintenance calorie requirements. 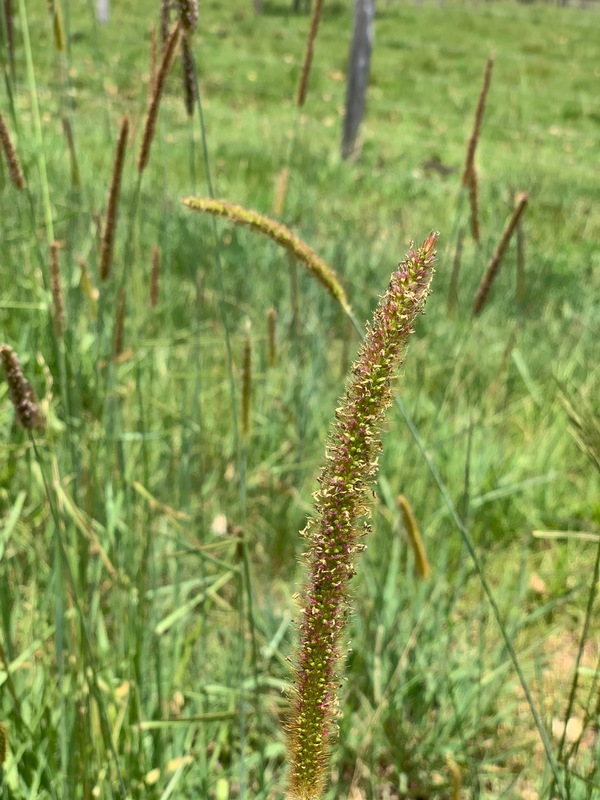 So the finding of lower intake on teff continues … hooray for teff! 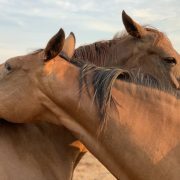 This study also reports that resting glucose and insulin levels did not change over 10 days while the horses were fed teff. 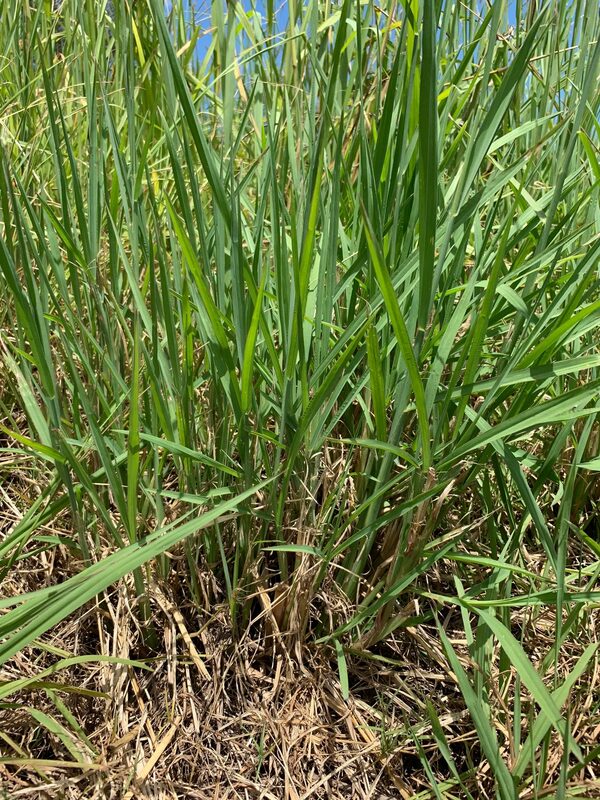 To keep this in context however, ryegrass hay (which can be very high in NSC) was fed as the control hay in this study and glucose and insulin levels also remained the same on this hay. Unfortunately the NSC content of the hays was not reported (yet!). 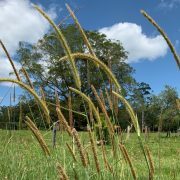 DeBoer et al 2017: In another recent study, these authors report that cool season (C3) perennial grasses (in this case orchardgrass, also known as cocksfoot and Kentucky bluegrass) had a significantly higher NSC content than teff pasture in summer and fall/autumn, however actual NSC content was not reported (this is just an abstract, data will be fully published in paper discussed below). This research also looked at differences in plasma glucose levels in horses grazing either alfalfa, cool season (C3) grasses or teff and found that differences were minimal. However, we know that insulin resistant horses can maintain normal glucose levels, they just need a lot more insulin to achieve this. DeBoer et al 2018: This is the fully published journal paper of the research above. 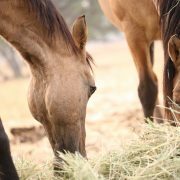 Authors report that horses grazing teff had significantly lower PEAK insulin levels when compared to horses grazing cool season (C3 Type) grasses in fall/autumn… despite NSC levels not being significantly different between the grasses (the cool season grasses had numerically higher NSC values but when variation was taken into account they were not significantly different). 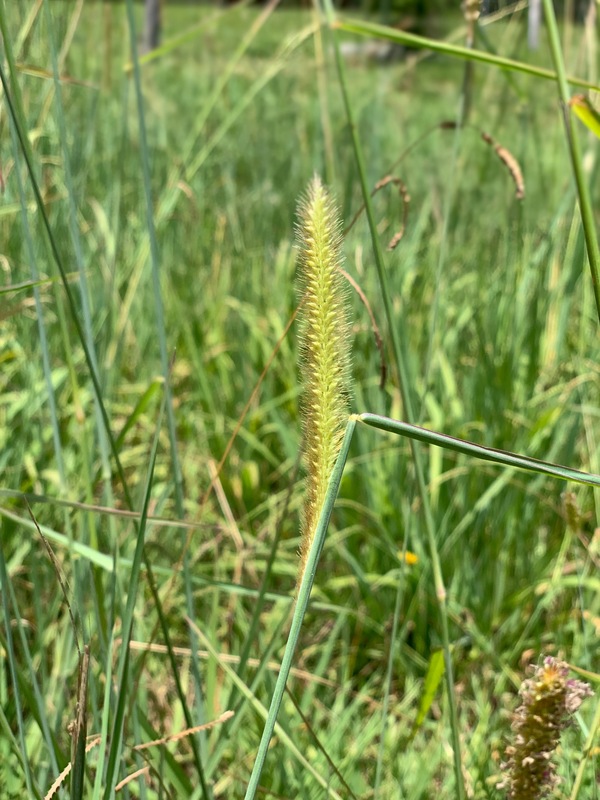 It is worth noting here however that teff was not recorded with an NSC above 10% at any time point where the cool season grasses did reach 12.6% NSC in summer. 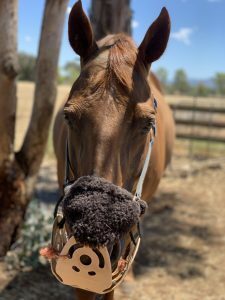 All in all, from the research available, teff appears to be suitable for horses who need either a calorie restricted and/or NSC restricted diet. If you are going to feed teff hay though be sure to use FeedXL to balance the diet. Because here is the not so good! 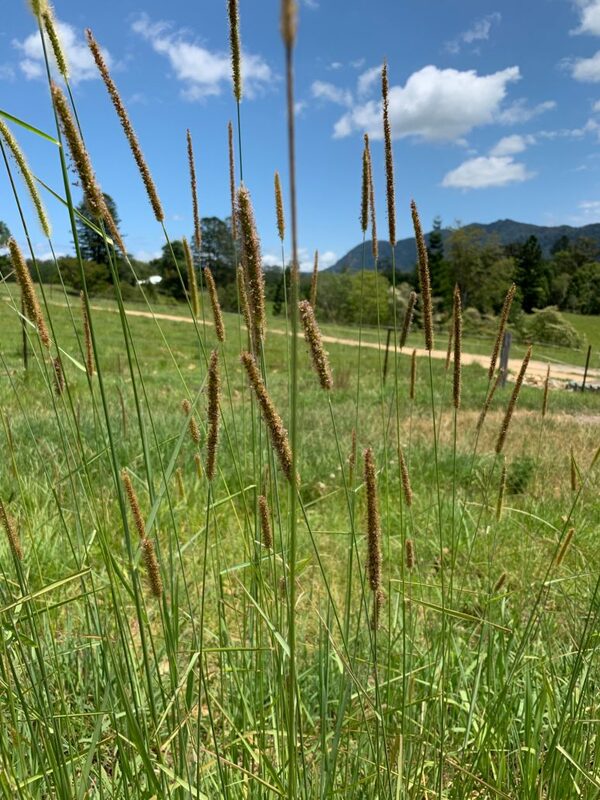 Teff, being a subtropical/warm season/C4 type grass does contain oxalate which will reduce calcium absorption by your horse and may lead to calcium deficiency if you don’t correctly balance the diets calcium to oxalate ratio (FeedXL will make sure you do this!). If the calcium deficiency is prolonged your horses will end up with a condition known as secondary nutritional hyperparathyroidism, commonly called ‘Bighead Disease’. 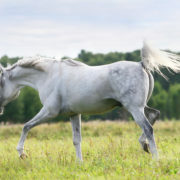 You are unlikely to see actual changes in a horses facial/head structure, but you will instead notice general soreness, possibly a shifting lameness, changes in behaviour (horses will often become unhappy and just generally grumpy with a bit of a please don’t touch me attitude) and an intolerance for work (because everything is sore). To prevent this from occurring you must keep the overall diets calcium to oxalate ratio at or above 0.5 parts calcium to every 1 part oxalate. And with additional calcium being added you will also need to make sure the diets calcium to phosphorus and calcium to magnesium ratios remain balanced. It’s lots of math, but FeedXL does it all for you in the blink of an eye. 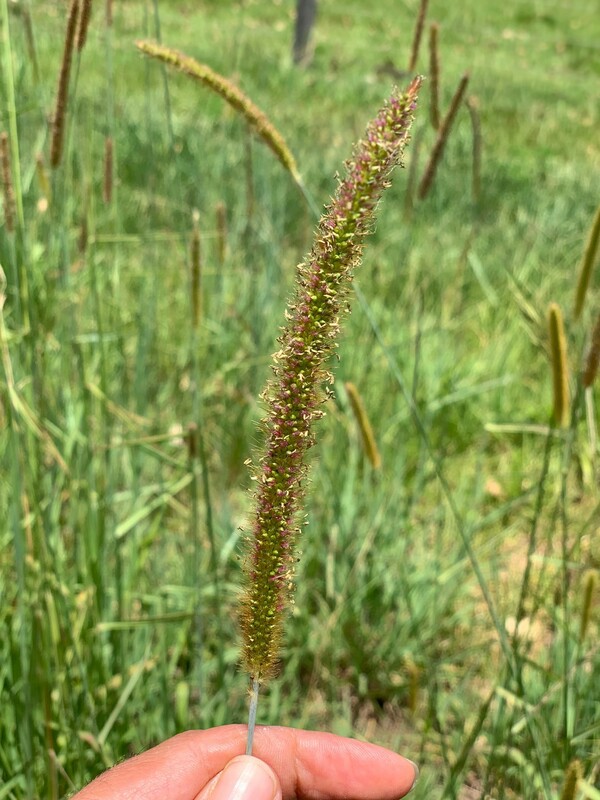 Teff, like almost all forages will also be low in trace-minerals and doesn’t contain great quality protein… so you will have a few other nutrient gaps to fill. Of course testing your specific hay and uploading this to FeedXL will give you the best results in balancing your horse’s diet! 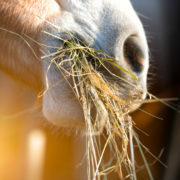 There has been a few reports of teff hay causing behavioural changes in horses and a very alkaline (8+) pH of manure. I have no explanation for this but the people who reported this to me said it occurred repeatedly in multiple horses and that once changed onto a diet of meadow hay, faecal pH and behaviour returned to normal. One of the horse owners reporting this is a knowledgeable and well respected equine nutritionist. Finally, alfalfa/lucerne hay makes a great forage to feed alongside teff. Alfalfa is similarly low in NSC, but unlike teff is rich in quality protein and high in calcium to help offset the calcium binding tendency of the teff. They complement each other nicely. If you are involved in racing or FEI disciplines you may also need to be careful to not feed too much (or any??) 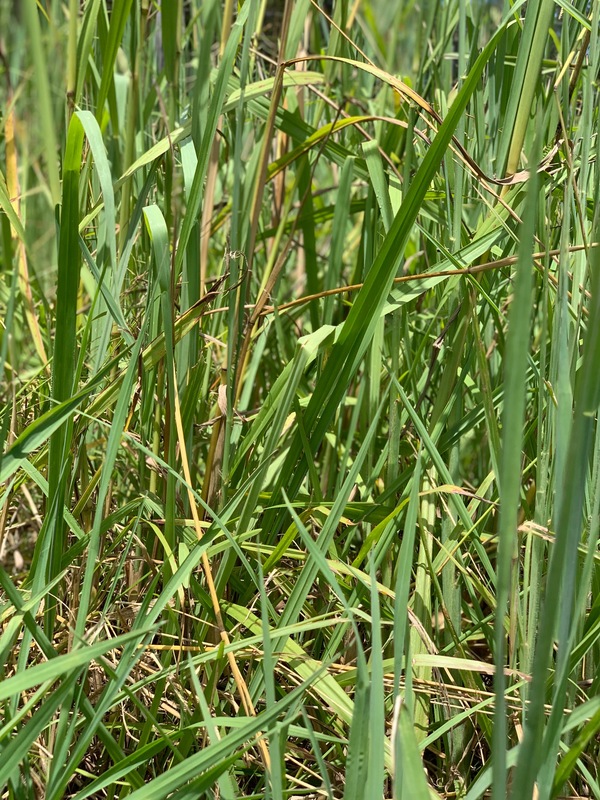 teff because of possible positive swabs for synephrine, which reportedly occurs naturally in teff hay. 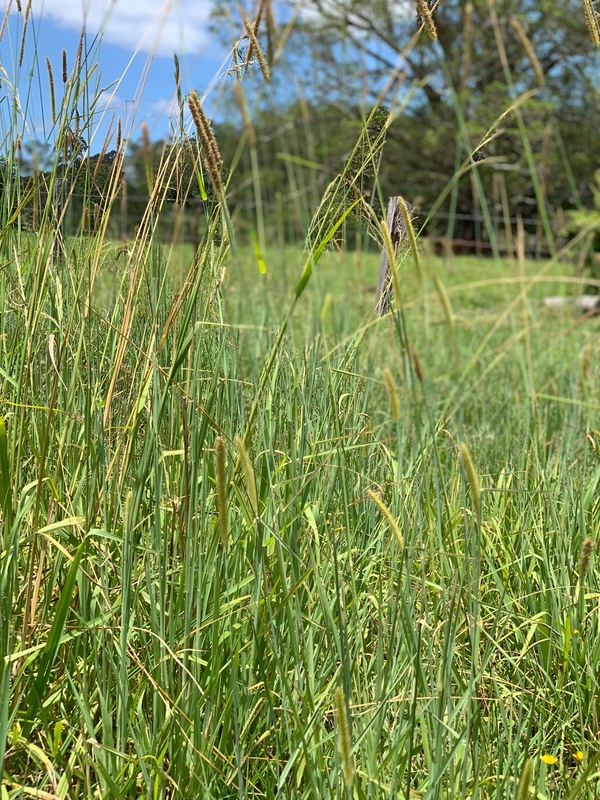 If you want to feed teff, our most recent recommendation is to do it carefully, introducing it slowly, feeding it alongside alfalfa and being sure to balance the overall calcium to oxalate ratio of the diet (again, FeedXL will help you to do this). If you get odd behavioural changes, check faecal pH using a soil pH test kit. If pH is alkaline you may need to reduce the amount of teff you are feeding until this goes back to ‘normal’ (closer to a pH of 7). Askins M.J., Palkovic A.G., Leppo K.A., Jones G.C. & Gill J.C. Effect of feeding teff hay on dry matter intake, digestible energy intake and resting insulin/glucose concentration in horses. Journal of Equine Veterinary Science 52, 45. DeBoer M.L., Hathaway M.R., Kuhle K.J., Weber P.S.D., Sheaffer C.C., Wells M.S., Mottet R.S. & Martinson K.L. Glucose response of horses grazing alfalfa, cool-season perennial grasses and teff across seasons. Journal of Equine Veterinary Science 52, 79. DeBoer ML, Hathaway MR, Kuhle KJ, et al. Glucose and Insulin Response of Horses Grazing Alfalfa, Perennial Cool-Season Grass, and Teff Across Seasons. Journal of Equine Veterinary Science 2018;68:33-38. 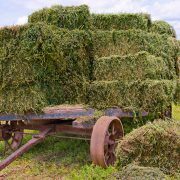 McCown S., Brummer M., Hayes S., Olson G., Smith S.R., Jr. & Lawrence L. Acceptability of Teff Hay by Horses. Journal of Equine Veterinary Science 32, 327-31. Staniar W.B., Bussard J.R., Repard N.M., Hall M.H. & Burk A.O. 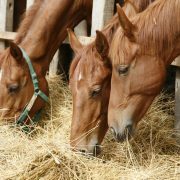 (2010) Voluntary intake and digestibility of teff hay fed to horses1. J Anim Sci 88, 3296-303.